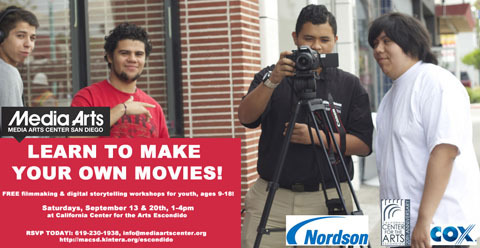 MEDIA ARTS CENTER SAN DIEGO, in partnership with SAN DIEGO PUBLIC LIBRARIES and thanks to generous funding from the James Irvine Foundation, introduces a new way for youth to have a voice within their communities. MOBILE STORIES is a free program that uses the popularity of mobile phone technology to connect local youth (ages 9-18 years old) with the extensive resources available at their local library in a format that is both current and easily accessible. 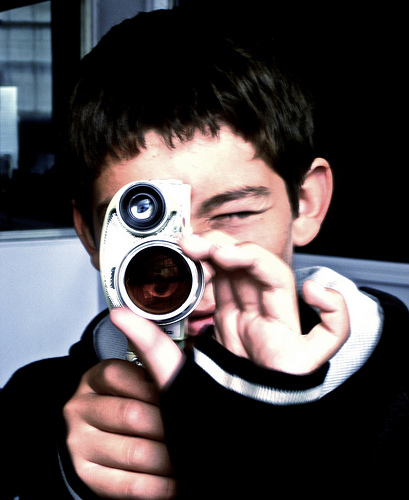 The library recognizes the ubiquity of cell phone technology; the need for under-represented youth to express their voices regarding news and events in their neighborhoods; and MOBILE STORIES potential to connect youth and their interests and needs with the information and resources of the library. 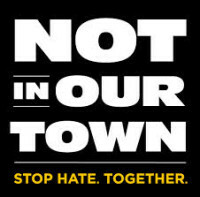 “The stories we tell in our local communities are part of the larger stories happening around the world. By partnering with the local library using the same tools to tell these stories, we are not only highlighting the importance of these stories, but showing the importance of libraries as active parts in the creation and interpretation of these shared histories for the public,” said Ethan van Thillo, Executive Director, MEDIA ARTS Center San Diego. 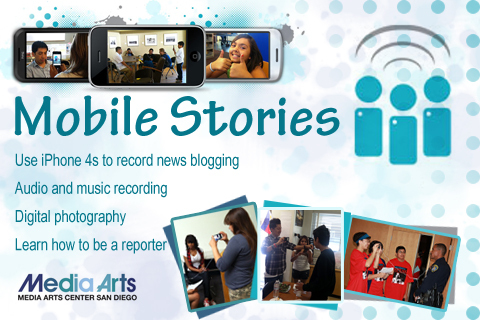 If you are interested in journalism or film, looking to explore the city of San Diego, and meet interesting people right in your community, come join a Mobile Stories Workshop at a local library near you. 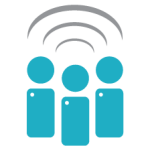 Mobile Stories is made possible with funding by the James Irvine Foundation, Library and Services Technology Act which the California State Library (CSL) administers in California, KPBS, Qualcomm Foundation, and Motorola.